The parent company of British Gas has revealed that domestic gas and electricity usage in the UK increased substantially between January and April 2013 compared to the same period last year. Centrica announced that electricity usage among UK households increased by 3 per cent, whilst demand for gas rose by 18 per cent. The company blamed “exceptionally cold weather” for the increased usage. Rising energy bills have caused outrage among consumers over the past few years, not least because the profit margins of suppliers appeared to rise in tandem. But a spokesperson for Centrica insisted the company would use any benefit derived from the cold weather to “hold prices for as long as possible”. 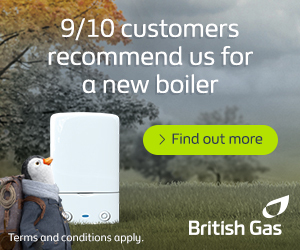 In November 2012, British Gas increased its electricity and gas prices by 6 per cent. Although most of the other leading energy suppliers in the UK raised their tariffs during the same period, the firm was criticised for making a nine-figure profit whilst many of its customers were pushed into fuel poverty. Centrica expects to meet its end-of-year profit forecast (£602 million) for 2013 without having to increase rates. Ann Robinson, uSwitch.com’s head of consumer policy, said: “British Gas has recognised the pressure facing customers and is using the financial gain from the extended cold weather to maintain its competitiveness. “In plain English, this means that British Gas customers should expect no further increase in prices at least for the foreseeable future”. Affording the cost of central heating has been a problem for UK households. Unseasonably cold weather in the spring of 2013 ensured that many of the poorest energy consumers had to choose between heating their homes or feeding their families. Hopefully the news that British Gas does not intend to increase its energy tariffs in 2013 will provide some respite for struggling households. Energy usage is a problem for many people in the UK. As the cost of gas and electricity increases, a greater effort must be made to conserve energy. Installing loft insulation and cavity wall insulation can reduce annual heating bills by around £250. Replacing an old, energy inefficient gas boiler can save a similar amount. Cheaper alternatives include turning down the thermostat by a few degrees, wrapping up warm in the home and turning off electrical appliances that are left on standby. PREVIOUS POST Is remote technology the key to energy bill savings?